HJFMRI implements PEPFAR funded HIV prevention, care and treatment activities in the Southern Highlands, providing resources, personnel and services to the Zone. The program has expanded from supporting the Mbeya Zonal Referral Hospital in becoming a hub for anti-retroviral treatment in the Southern Highlands zone: to community support through decentralized services. With the overall objective of implementing research, clinical HIV. prevention, care and treatment services in Mbeya. Rukwa. Katavi Ruvuma and Songwe regions in the zone. In collaboration with the Ministry of Health. Community Development. Gender, Elderly and Children (MoHCOGEC) and community NGOs, HJFMRI has been leading a comprehensive HIV and AIDS care and support program in the Southern Highlands of Tanzania since 2004. The program, which is sub-contracting with Regional Health Management Teams (RHMTs) and 14 community outreach partners, extends to 25 district councils in the five regions. Collectively, the zone, which has one of the highest HIV prevalence rates in Tanzania. represents a catchment area with dose to 6 million people (13% of the population of Tanzania mainland). Despite remarkable achievements made over the past ten years, the expansion of HIV care and treatment interventions remains critical both at the facility as well as the community level. The role of a compliance Manager. 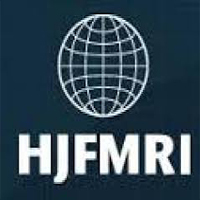 is to make sure that HJFMRI-TZ is conducting its business in full compliance with all national laws and donor and organizational rules and regulations. as well as. to maintain professional standards, accepted business practices. and internal controls. There is both an ethical component and a pragmatic component to the compliance manager's role. The role is crucial in helping organization manage risk, maintain a positive reputation, and avoid lawsuits. • University degree in Accounting from a recognized institution. • A minimum of 8 years working experience in the same field, including 3 years of experience in managing staff. Cover letters and resumes should be sent by mail through post/EMS/DHL/ or any reliable Courier to the Human Resources Manager. P.O. Box 6396, Mbeya or transmitted by email to recruitment@wrp-t.org NOTE: to be considered, applicants must put the TITLE OF THE JOB in the SUBJECT LINE, avoid delivering the application in person. Deadline for submission of the application is May 25th, 2018. Those who do not meet the minimum requirements as detailed below should not submit applications.